One of the joys of starting a herb garden is that anyone can do it. Even if you do not have a garden, pots of basil, thyme, chervil, marjoram, parsley and mint can be grown on a windowsill , in troughs, old containers, sacks or practically anything that can hold a plant. Lack of space is not a major issue if you are thinking of starting an herb garden. The most important element in successfully growing herb garden plants is making the growing conditions as similar as possible to those the plant would grow in normally. If the plant comes from a warm climate choose a warm place in your garden, if the plant likes good drainage then you need to grow it on a slope or in very well drained soil. It is very unlikely that you will have the ideal soil and growing conditions for all the herbs you want to grow. You will need to compromise especially in the type of soil needed. This is easily done by growing some of your herbs in containers, pots and window boxes. Annual herbs such as chervil are plants that move from germination to seed in one year. Because of their short growing season there are going to be gaps in the bed or pot where they were growing. Biennial herbs are plants that germinate and produce green growth in the first year. They survive the winter and then flower and set seed in the second year. If you want them for their seed or flowers you need to leave them in place for two years. If you just want their foliage you can remove them at the end of the first year. 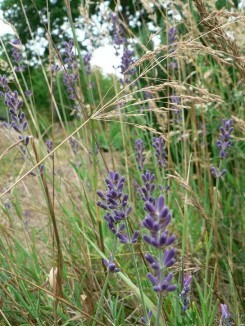 Perennials form the backbone of any garden and this applies equally to an herb garden. These are permanent plants that will be in place for many years. Naturally there are going to be differences in the eventual size of plants. Some will be low-growing, others will be tall. The eventual size of the herb will need to be allowed for when it comes to positioning the herb. Usually the tallest herbs go to the center of the herb bed or to the very back. The shortest herbs usually are planted to the front. If you are growing your herbs in containers you will have many more options as you can arrange them according to their needs and at times your personal preference. Once you have thought about the plants you want and how they might grow in your garden it is time to think about the layout of your herb garden. If there are certain elements you want, such a cartwheel effect, include this in your plans. There is always a temptation for the beginner to try to get every detail perfect. Spend most time on getting the conditions right for the plants. The design aspect can come later. Gardens tend to evolve and you can change and adapt your garden over the following years. Try to limit the width of your herb beds to a maximum of forty-eight inches wide. This will mean that you can reach in from most sides of the bed to the center of the herb bed. Storage space, potting area and access to water are other considerations. Your first year will be a case of trial and error. Do spend time planning the layout but do not become anxious about it and spend too much time on it. Work out planting schemes for individual beds and borders on separate sheets of paper. Keep it simple at first. Plant taller plants in the middle, smaller to the outside. Plant in blocks of five or seven for both the practical and visual element. A series of small to medium sized herb beds, each planted with a single type of herb, will provides simple but effective blocks of color and foliage. Larger plants will need larger beds as will a large collection of different herbs. As with many tasks there is an order of work that needs to be followed so you should also draw up a schedule of the work involved. This will greatly reduce the mess and delay. Planting itself is almost the final task and this will not be happening until the Fall in milder areas, or spring in harsher climates. When you have designed your basic plan you can now mark it out in your garden. Use stakes tapped into the ground and joined with strings to mark the basic outlines of your herb beds. At this stage you should know which plants are going in which bed. Now is the time to start getting that soil into good condition and ready to grow your own fresh herbs. Start preparing your soil in the Fall. Turn the soil over with a fork. This is better than using a tiller which tends to turn up too many stones. Remove the roots of weeds. If you are comfortable with using weed killer you could apply a systemic weedkiller at this stage. If you are starting your herb garden in spring do not use weedkiller. If the area you are preparing has been covered in grass or a lawn you can skim the grass off using a spade. Cover the grass with black plastic in order to kill the grass. You can then work the remaining soil back into your bed. 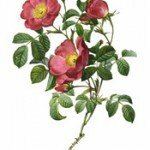 To grow healthy plants you will need the following factors to be present. Enough moisture to achieve steady growth but not so much that the plant is waterlogged. Sufficient heat to maintain growth. A good supply of nutrients and minerals. A weed-free growing environment. Improving the condition of your soil and proper placement of your herbs will fix all those issues. After turning the soil it is time to add plenty of nutrient rich compost or well rotted farmyard manure. If you have a clay type soil add plenty of sharp sand to help with drainage. If your soil is sandy it will be easier to work with and will have good drainage. However sandy soil is not good at retaining essential plant nutrients. Add plenty of garden compost or mature farmyard manure. You will need to do this every year for very light or sandy type soils. Below is a general guide to the season as it applies to herbs. Remember to take into account your local growing conditions regarding ground temperature, wind etc. Dill, coriander/cilantro, marjoram and pot marigold for sowing outdoors. Basil and parsley for sowing indoors. Bay, mint, oregano, parsley, rosemary, sage, thyme and all types of tarragon can be placed outdoors. Sage, bay and parsley should be ready for harvesting. Trim lavender, bay and sage to encourage new growth. basil, borage, chervil, dill, coriander/cilantro, fennell and nasturtium can be planted outdoors. Mulch container grown herbs. Chives, rosemary and sorrel should be lifted and divided. These herbs will appreciate this and will be re-envigorated. basil, borage, chervil, dill, coriander/cilantro, fennell and nasturtium can be sowed outdoors. Containers and pots need to be weeded regularly. Feed plants once a week for the next two weeks in early summer. Mulch around mint and parsley. Water regularly and deadhead any herbs that have flowered. 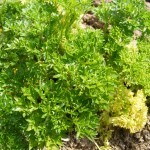 parsley, marjoram and oregano should now be trimmed back to encourage fresh growth. 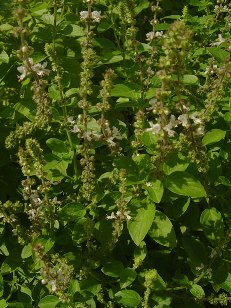 The dropping temperatures will kill basil if it is not provided with a warmer location or some protective cover. Not a lot is going to be happening, most herb garden plants are now dormant and will appreciate a generous helping of mulch at their crowns. Now time to start planning your herb garden for next year. A shortage of space is not the only reason to consider growing herbs in containers. Container herb garden plants can be highly decorative and can provide another visual dimension to your garden. Using Ericaceous compost also provides you the opportunity to grow plants that do not like lime soil.